I have been asked many times why I am in Portugal. I came because of the horses and I stayed because luck introduced me to the right people. After stumbling onto a lawn one afternoon I met the mother of Catarina Sande E Castro who offered me a room to rent, and when I met Catarina and told her I was interested in horses, she very quickly organised for me to come the following day to meet Mr Joao Pedro Rodrigues. 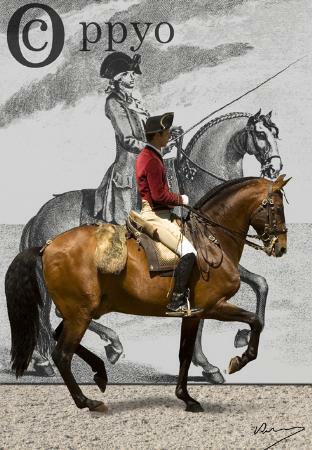 Now the head of the Portuguese School of Equestrian Art, Joao Pedro was the man who inspired my first ever classical training article, and is the reason why I made the decision to extend my return flight, month after month. After that well, the months turned into years when I found my dream horse, aka Batialo!!!!! So thank you to Joao Pedro Rodrigues, an extremely humble breeder, rider and classical trainer! If you have never been to Portugal, you must visit, and now with the chance to stay at the home of the late Master Nuno Oliveira, and train on a Lusitano at his last property of residence, well it’s a chance you should not miss!! How awesome! I don’t blame you for staying one bit. How fortunate!